Oh, the joy of growing an olive tree! Even though it’s associated to warm Mediterranean weather, cold also plays a crucial part in olive bearing. Let’s check how temperature influences olive trees, especially freezing. 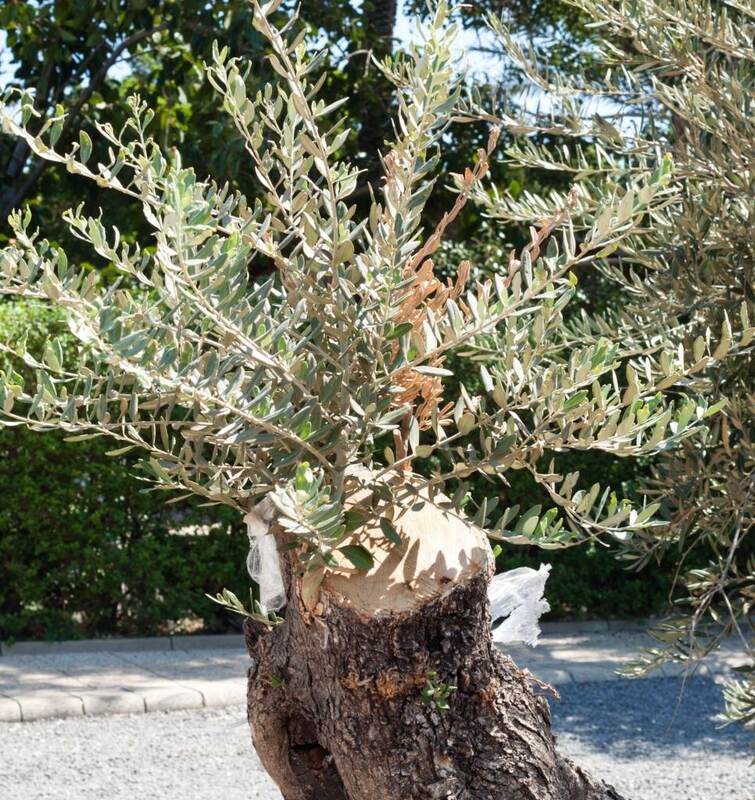 Learn about hardening your olive tree and how to regrow your olive tree if ever it has died. 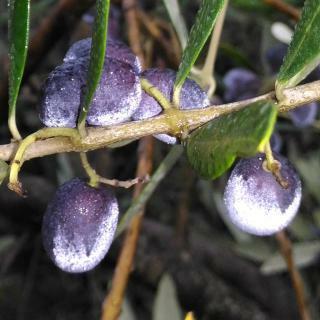 It has been said time and time again that the Olive tree is a very hardy fruit tree. However, it does have limits, and those who ignore them might be in for an unpleasant surprise. The numbers above are mostly based on the Arbequina variety, which is hardier. For example, for the Italian ‘Frantoio’ cultivar, twig death and limb dieback already occur at 12°F or -11°C instead of 5°F or -15°C as shown above. 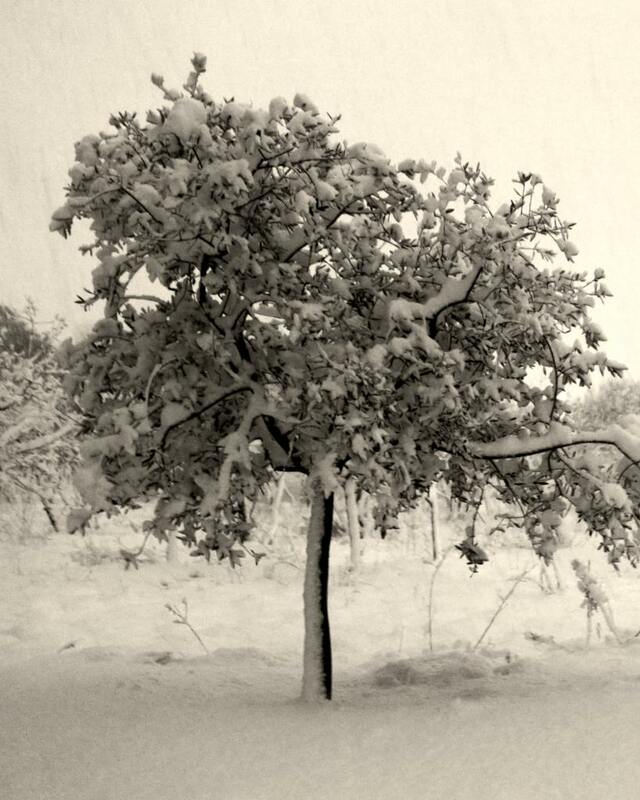 It’s possible to reduce damage by freezing to olive trees by winterizing them. Another solution if your area gets too cold is to grow olive trees in containers, so you can bring them indoors during cold waves. The olive tree grows all along the Mediterranean area, and in modern times has spread to North and South America, Northern Africa, and more. In each of these places, frost regularly happens either because of latitude (growing farther North) or because of elevation (atop hills or on mountain slopes). For fruit-bearing, olive oil quality, olive tree leaves, let’s observe how frost and freezing impacts this beloved tree. Freezing halts flower formation altogether, and deep freezes lower than 20°F (-7°C) can start destroying flowers in the bud. Sometimes olives are harvested after freezing. This changes the quality of the oil. increase in phenols like vanillic acid and vanillin, which makes the olive oil sweeter. Overall, moderate freezing has a positive impact on olive oil quality, even if it should be consumed faster (within the year instead of over several years). However, excessive freezing is detrimental as it releases compounds into the oil that aren’t usually present. When freezing occurs, leaves that are towards the end of twigs and on the outside of the olive tree canopy are the most vulnerable. Leaf tips, where active, growing, and water-filled cells are, die and turn brown. If freezing lasts or deepens, older leaves fall off first. Olive tree leaves usually last two or three years on the tree. Olive leaves may develop chlorosis or loss of color, having yellow or orange spots. This shows where some parts of the leaf have died. Leaves that are under a year old are last to drop. If leaf buds are hit, in spring they’ll grow into deformed, twisted, irregular leaves. Some might be discolored. Unless a frost-bitten tree develops olive knot (or olive canker) the twisted leaves aren’t a disease and the tree doesn’t require treatment. Due to damaged leaves and sap vessels, production and yield may be lower in case of excessive freezing. Note that light freezing, however, has a beneficial impact on olive production. However, the exact circumstances when this occurs aren’t fully known. Plants, like humans, can learn! It is possible to “teach” an olive tree to resist the cold. However, this must be done in incremental steps. Getting your olive tree used to the cold is a long process. Most important is to ensure that transitions are slow. This occurs naturally when autumn slowly turns into winter. Acclimation is the term used to describe this. 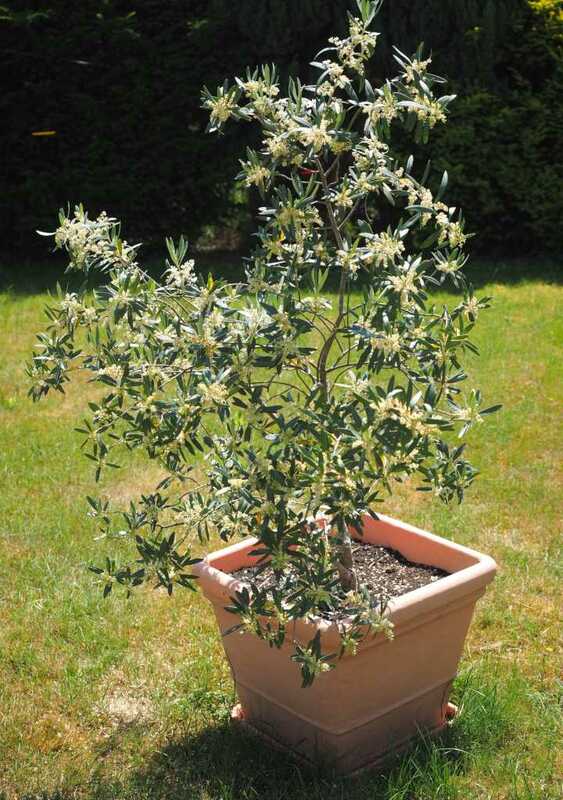 For example, never make a greenhouse-grown olive tree spend an entire winter freezing outside in one go! Track the temperature at night (lowest temperature) and how many nights or hours it has lived through at that temperature. Adjust protections to the tree to control the lowest temperature reached. Consider that once a tree has survived 100 hours (or about 12 nights) at a given temperature, it has “learned” to function or survive at that temperature. Its comfort zone can be extended downwards. To do that, adjust protections to lower the lowest temperature down by 1 or 2 degrees. It may take years, but carefully monitoring how long your tree has been subjected to the cold can help you decide if extra protections are needed or not. Note that you can’t increase hardiness forever. At most 4 to 5 degrees can be won, compared to what is normal for that variety. As proof that this can happen, it is quite common to see that older trees show less damage than younger trees, even for twigs, buds and branches that are the same size. Even if one of your olive trees has died due to freezing, it’s possible to grow it back. Growing a frozen olive tree back from the stump ensures it will be hardier. An olive tree that grows back after having frozen will resist the cold better. If the tree was grafted, hopefully part of the grafted variety is still alive. If not, you’ve lost that and only the root stock will grow back. Cut the dead tree trunk off cleanly, half a foot (15cm) above either the graft joint or the ground level, depending on the case. You might need to do this in two steps, first tumbling off the most part of the dead olive tree, then making a clean slice for the stump. Sprouts may have grown above the graft joint. Keep all of those in the first year. Cut any growth from the undesirable root stock. In the 2nd year, select 3 or 4 nice shoots and cut off any other ones. In the 3rd year, select the most vigorous growth from the grafted part and cut the other ones off. Train and prune this single stem in the following years to create new scaffold branches and fruiting branches. If no shoots sprout back from the grafted part, let the root stock grow back as described below. Once it has grown back, graft the desired variety on top of that. Your new graft will benefit from part of the old rootstock’s cold-hardy experience! In spring, sprouts will come up from the stump and from nearby roots. The first year, keep all the new stems. In the 2nd year, remove all the stems immediately on the stump. Keep those that are further off and that grew from the roots. In the 3rd year, select and keep 4 to 6 of the most vigorous stems, each coming from a different root. In the 4th year, select the most vigorous stem and start training it as you would a young olive tree. You can cut the other 3 to 5 stems and their root away from the original stump, and use them to plant new olive trees further off. With these techniques to care for your olive trees, you’ll be able to grow them at the threshold of their climate zones! And, with luck, some of them will live to be 1000 years old! 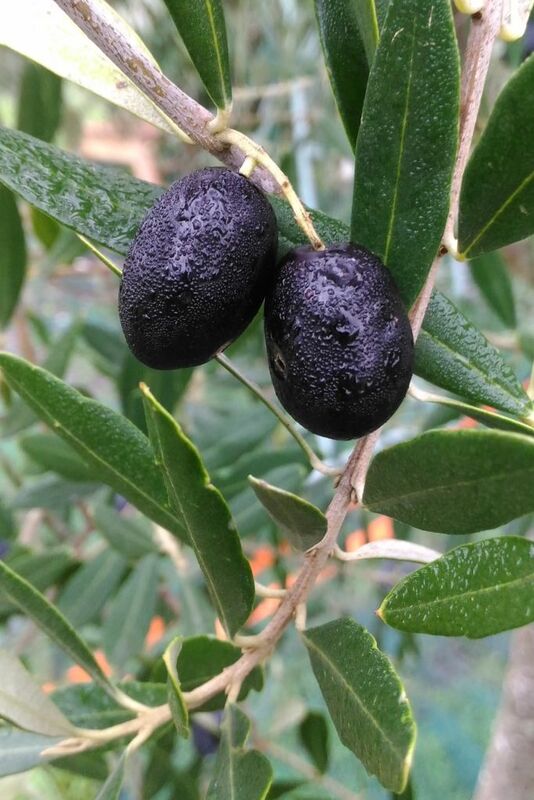 Grow an olive tree in the North!